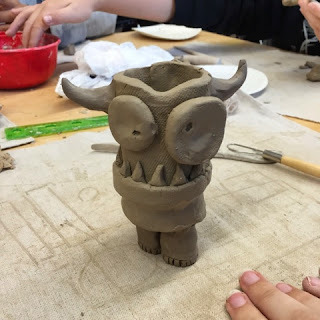 come to the Art side: Monday Mayhem: Clay work inspired by artist James DeRosso! 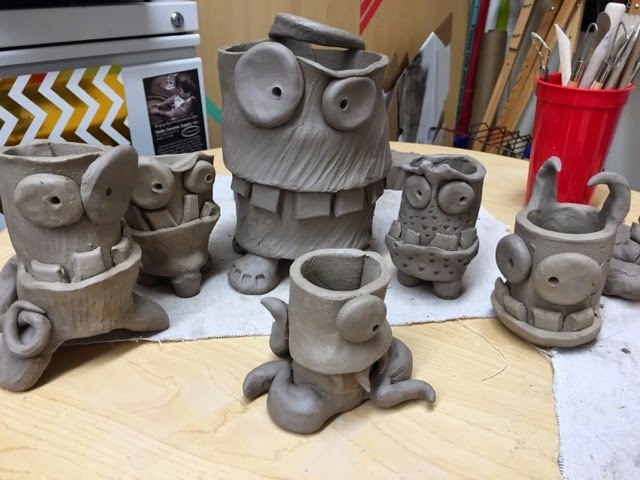 This was my first time working with clay for multiple days in class, well only two, but it was still a really big deal for me! 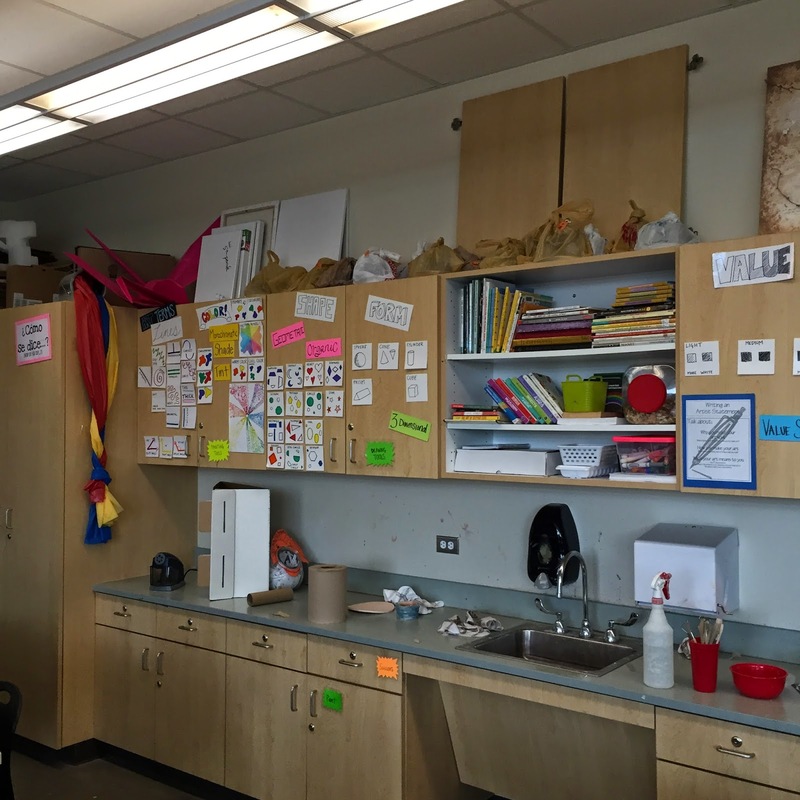 I have so many students and not as much space so organizing everything was really hard for me but worth it! I found this artist named James DeRosso who creates these AMAZING clay monsters! 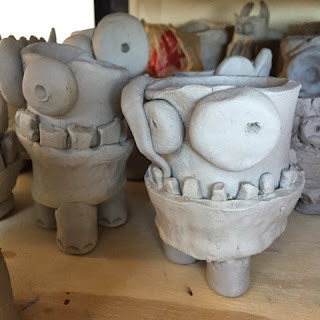 Here is a video that is great to introduce him to your class here. The process was really easy, using slabs to create the cylinder and then attaching pieces using score & slip. Student work starting to dry. 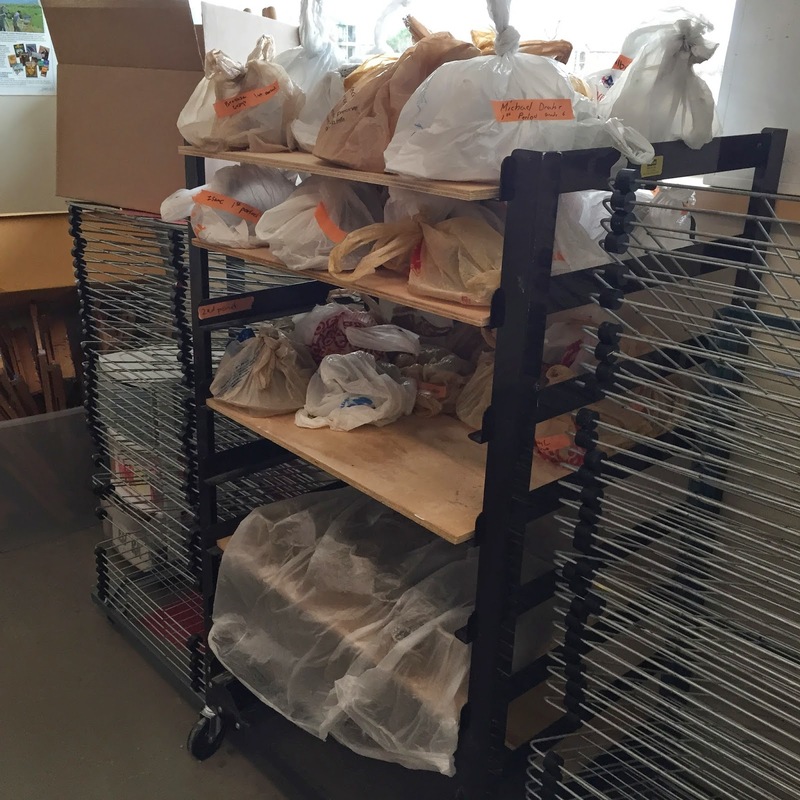 Storing over 200 pieces of clay takes WORK. get those bags up there. SAFETY FIRST! What is the clay project that you enjoy teaching most? Any suggestions on storage solutions? Where can I find the video that you mentioned? In the sentence that I mention the video the last word is HERE. That is a link to the video! Sorry if that was unclear! Hi there Kaitlyn! 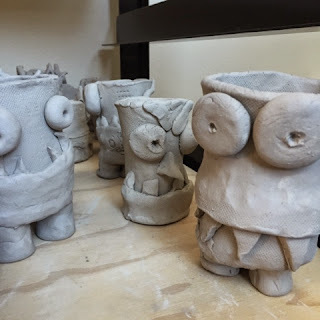 I teach middle school so a mixture of 6th, 7th and 8th graders designed these clay pieces. It can probably be adapted for a 5th grade class as well. Perfect! I plan to do them with 6th graders. I can't wait to start them and the kids are excited too! Thanks for sharing! I'm so excited for you! Make some extras for your admin team, they really enjoyed having a little gift from the students. ;) Also if you have a blog I'd love to be able to share it here when you finish so please let me know! That link is still unclear to me... perhaps it won't work from a smartphone? Lovely work! If you haven't found a solution to the clay storage...I bought a 4x8' shelf board, only 1/4 inch thick. I had them cut into 8x10". 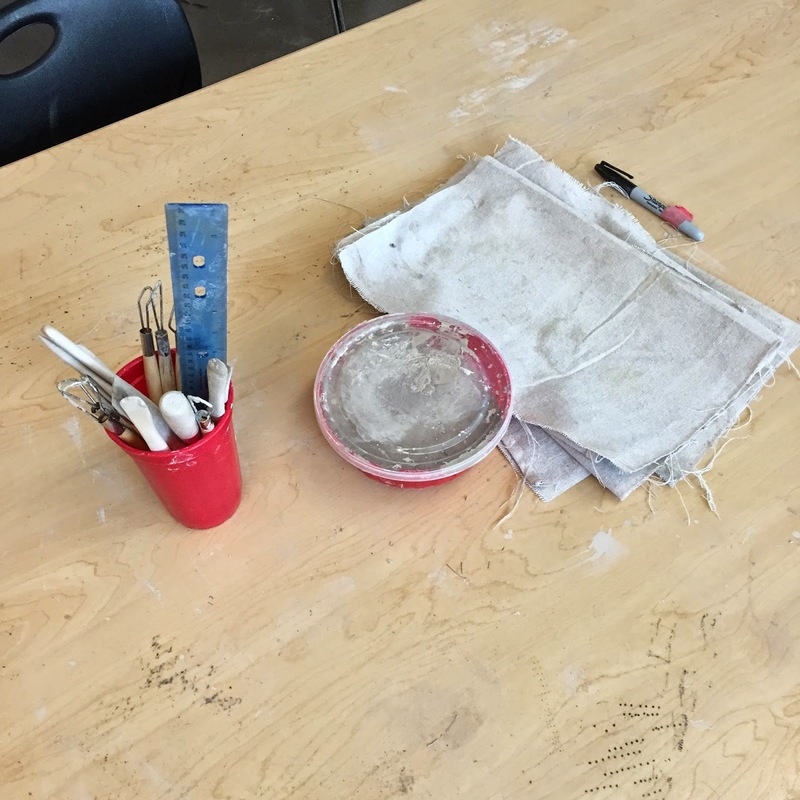 I often have kids that work as a table to store their work on one board, then bag. Makes handing out easier, too. Still lots of space, but isn't all 3D work?! Hi! LOVE these! Did you glaze them? Friday Feature: Mr. DeJesus & Friends!